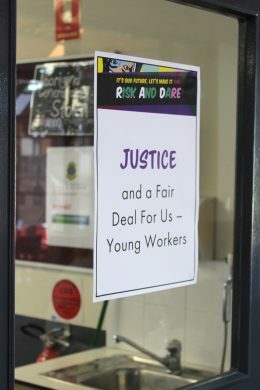 I recently had the privilege of co-planning a draft agenda for 2019 with next year’s student leaders from Mount St Joseph’s College, Milperra. 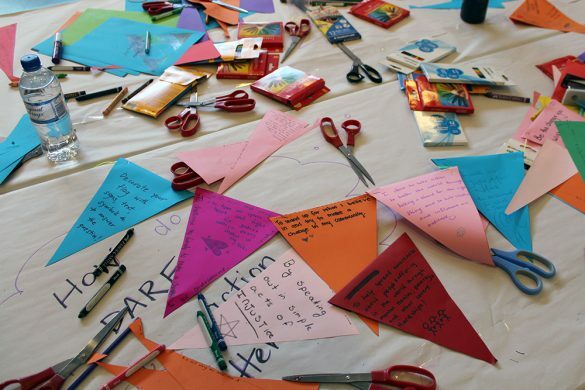 As part of their yearly goals, the girls expressed a desire to bring their fellow students towards a deeper understanding of their faith and provide their peers with opportunities to develop a closer relationship with their God. It struck me that these young women and indeed, their school community, already do this. Mount St Joseph community celebrates “Wayback Wednesday” (a positive mental health initiative). 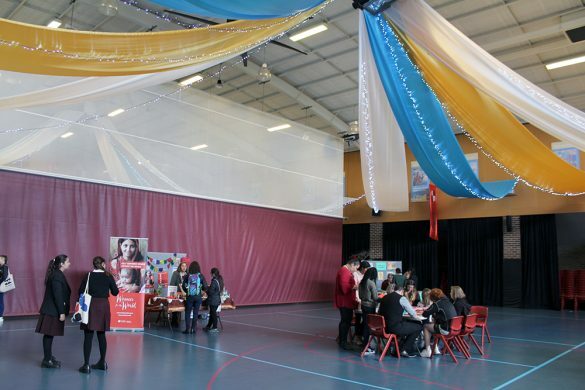 They organize Peru Day where the entire school raises over $10,000 for Mary MacKillop Today Peru programs. They promote care for earth with clean up initiatives and many, many more action-based programs. 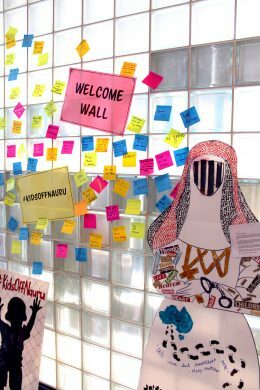 It appears to me that these young women and perhaps even their peers nationwide need to be encouraged to make the connection between their understanding of faith and how to exercise it through their actions for a more just community, a more just world. 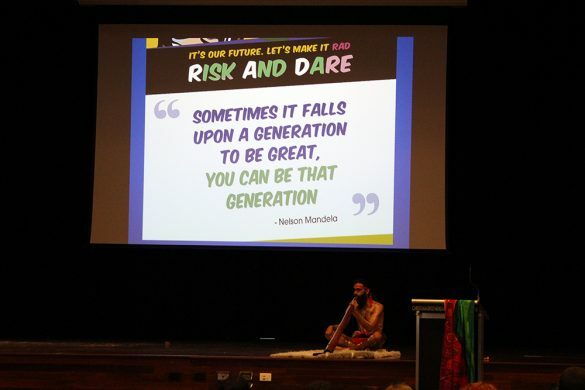 With this in mind, I felt encouraged and affirmed as I reflected on our RAD (Risk and Dare) Youth Justice Conference. 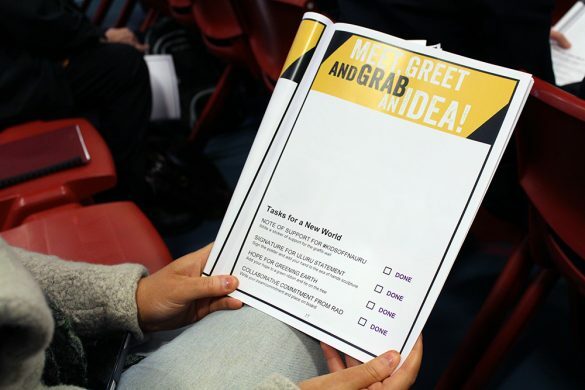 RAD set out to do exactly that – make connections – align faith with action as Jesus Christ did and as Mary MacKillop lived. 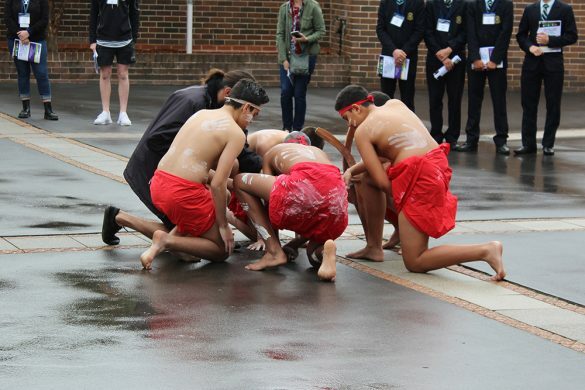 The two day Conference began with a Smoking Ceremony presided over by the Christian Brothers’ Aboriginal Students. Then, prominent journalist Van Badham fired up the students with stories of activism initiatives resulting in more humane Australian policy. She reflected on our need to consider all people involved in a particular issue even when our views may not be aligned. 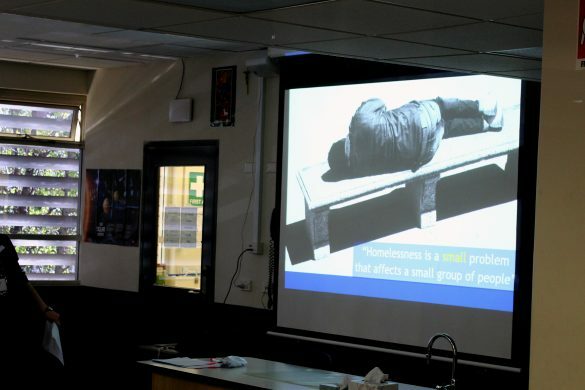 Phil Glendenning from The Edmund Rice Centre challenged the participants to consider who they wish to be in this world and how they will choose to live so that all people can enjoy their basic human rights. The participants had the privilege of working with experts. 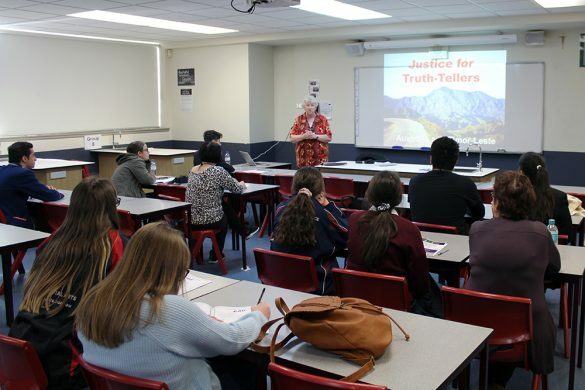 Sister Susan Connelly ran a workshop on Truth Tellers focusing on the current Witness K and Bernard Colleary case. 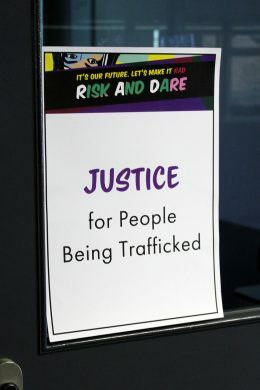 Sister Mary Leahy worked with students to raise awareness about human trafficking. 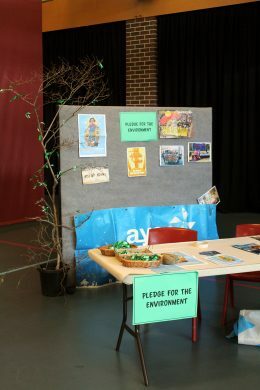 Catholic mission shared their virtual reality resources to help the students “experience” life in a developing nation, while The Australian Youth Climate Coalition’s Sally Cogglia explained how poverty, the refugee crisis and justice for First Nations Peoples can all be linked to Climate Change. Luke Williams, a past Josephite Captain from “Lend a Hand to Hugo” inspired us with his faith in action story of beginning a charity to assist early intervention programs for children suffering autism, while Adam Hegedus, a past Christian Brother’s Waverley School Captain began a charity to raise money to build school houses in Timor. We were educated by the Treehouse Theatre Refugee kids and entertained through theatre sports skits of what NOT TO DO when lobbying for change. All these experiences reiterated to the participants that youth and youth activism have a power and a purpose and are in fact living examples of their faith in action. 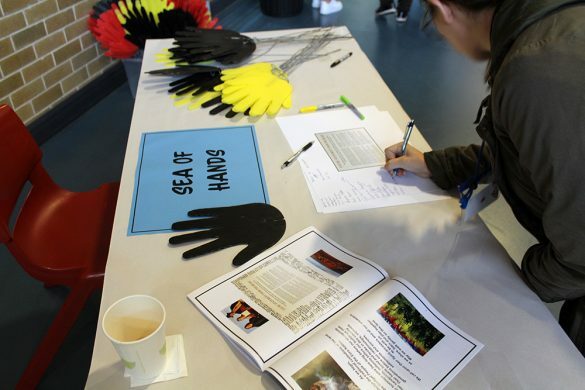 However, the Conference was more than just an awareness raising experience. 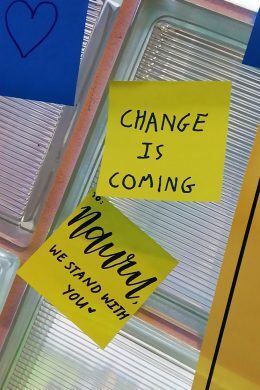 Every student left the venue Friday afternoon having a clear idea of what needs to happen to influence the structures that perpetuate the injustices. Every student scripted and rehearsed how to visit a politician in order to influence change. 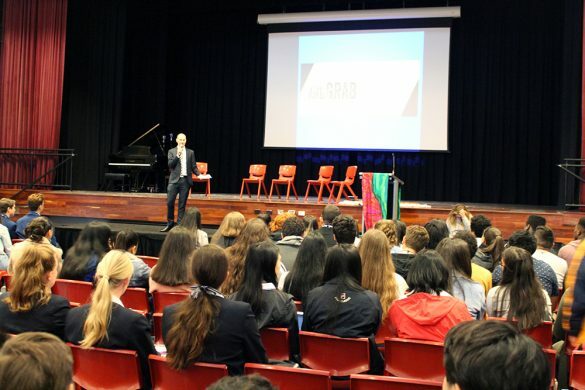 The Members of New South Wales Parliament Jihad Dibb (Labor), Jenny Leong (The Greens), and Jonathon O’Dea (Liberal) invited students to become politically involved and explained the affect a campaign can have on policy. Then the students, armed with the knowledge they had gained during the previous day’s workshops, embarked upon developing a script to take home to use on a visit to their local Member and so begin a relationship that may evolve and hence someday influence policy. With an election imminent and our students skilled up, who knows what possibilities these enthusiastic, articulate and determined young people will influence? 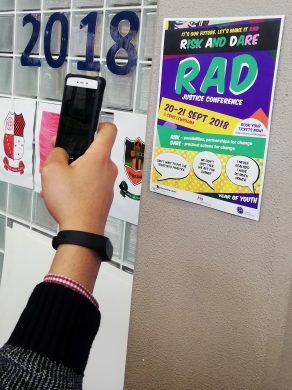 RAD asked the young participants to SEE the issues, JUDGE and identify the injustices and ACT to lobby for change. 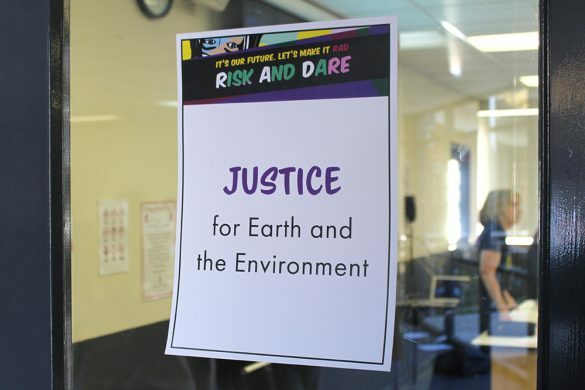 RAD asked the students to Risk and Dare action for a better future for all. 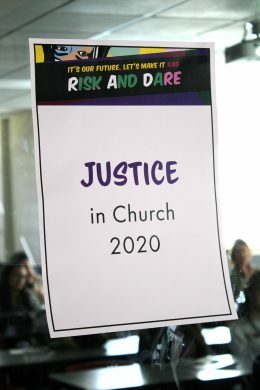 As activists and faith filled people, these young participants can make connections between their knowledge and action for justice with their faith. They may realise that the Spirit is alive, working through them to live the message of the gospel and see God in all things. In doing this they do as Jesus did and Mary MacKillop lived. I learnt that as the youth of this nation, we have the opportunity to initiate great change, and that our voices deserve to be heard. As well as this, I was reaffirmed in that individuals should not let their age stand in the way of their inclination to ignite change in the world. I also learnt the youth are capable of achieving amazing things and contributing greatly to society, so we should not doubt our abilities or let the discouraging words of others get to us. 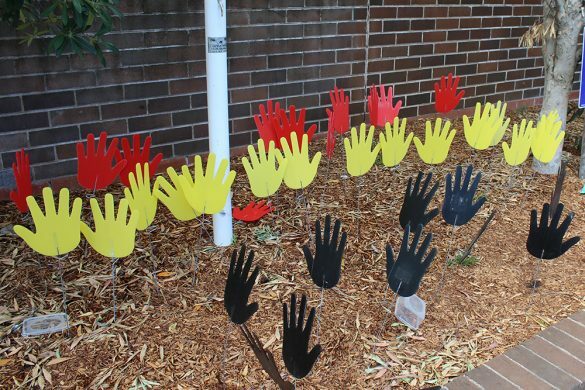 I learnt from the time at the conference that we do not have barriers to make a difference at our school or in our community. Even if we start off with our school principal on issues that we want to fix, then we can start to get it to a community level, then so on. 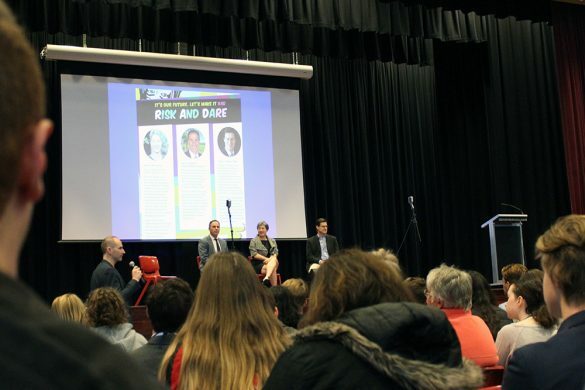 I thoroughly enjoyed listening to the keynote speakers’ experiences, engaging with other like-minded youth from all over Australia, and especially being given the opportunity to watch Treehouse Theatre Refugees – Suitcase Stories. This was a very emotional experience but something that I really enjoyed and feel grateful for having watched. I dream that everyone’s faith is ignited – so we can care for the environment, the refugees, the excluded/lonely and the homeless in our community. I loved the sense of community and belonging as well as the passionate speeches and words said by fellow students. Photos used with permission by owner.